Today we’re bringing you a double two-fer: two Bookworms reviewing the same book AND a review and a give-away! More about the give-away after the review! I couldn’t wait to get into this book! I was late to the Across The Universe party, but it was so very fresh in my mind as I listended to A Million Suns. I loved coming back to these characters that I had grown so close to in the first book. I really connected with more than just Elder and Amy and so it was with great pleasure that I was able to sink back into the world aboard Godspeed and I have to admit that I was dying to see how everyone on the ship carried on after the way things ended in the first book. Plus Ms. Revis didn’t take it easy on Elder and Amy in this second book. It would have been easy to make the obstacles all exterior, give them something to fight against rather than something internal they needed to struggle with. I think this second installment is stronger because of all the doubt they needed to work through: doubt about themselves and about their roles with each other. Also, it was refreshing that there was none of the typical “second book love triangle” storyline. I’m not saying I don’t enjoy a good YA Romance love triangle, I do, it’s just that it’s nice to have the occasional YA book that might feature romantic elements but is something primarily other than a romance, and both Across The Universe and A Million Suns had plots that revolved far more about a mystery than the romance. Heather, what did you think? I’d read Across the Universe when it first came out last year, and I’d even though I’m not the biggest fan of science fiction, I loved it. 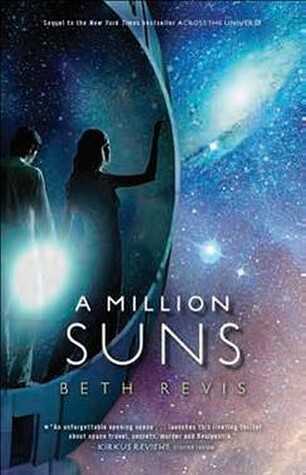 But Beth Revis’ series isn’t so much sci-fi as it is character driven, and A Millions Suns delivers a big punch in terms of this. The second book picks up right where the first one left off, with Elder taking over for Eldest and now leading the ship. He has to make some very hard decisions about how to be a leader to these people, and he definitely struggles with how to do that differently than Eldest did. One of the main things that he tries to do is keep the people of the ship off of Phydus, the controlling drug that keeps everyone working, calm, and complacent. But giving them back the free will that they’ve never really known they had can be a big mistake, and Elder soon finds out who is with him and who turns against him while he tries to determine what lies Eldest told him. Amy is struggling throughout this book–with being an outsider and very different from everyone else aboard Godspeed, but also with what her place is now that she was awoken early by Elder. Orion believed that she is the key to the ships salvation, and he has left her clues to decide their fate. But someone else has other plans and interferes. And now that everyone is off of Phydus, she is even more of a target since everyone really notices how different she is from everyone else, and a lot of people resent her since Elder has such a weakness when it comes to Amy. The main thing that I took away from A Million Suns was just how alone someone can be, no matter what their status is or how many friends they have. Elder is still completely alone even though he is now the leader of the ship. He can’t trust anyone with a rebellion brewing, and he’s not even sure if he can trust himself anymore. Amy is even more isolated than she was before even though she has free reign of the ship, and she finds that she can’t trust anyone either. But Elder and Amy cling to the hope that their uncertain relationship will survive whatever happens on board. I loved A Million Suns as much if not more than the first book! If you haven’t had the pleasure, you need to pick these books up NOW! This was a solid second book, full of surprising and unexpected twists. Even if you don’t particulary like sci-fi, you’ll probably enjoy these books. I was a bit disappointed by the change in narrators in this book. I really came to love Lauren Ambrose and Carlos Santos in their rendition of Across the Universe and while I didn’t actually notice that Lauren had been replaced by Tara Carrozza but I really didn’t prefer Lucas Salvano to Carlos Santos. So, now we get to the give-away portion. YAY!!! And Heather and I (Pushy) had a great idea that for this give-away, since Beth Revis is coming to our town next week, we’d offer a copy of the book personalized to the winner!!! So, enter in the Rafflecopter form below and please remember to put in what name you’d like your book personalized to!!! Don’t forget to check out our feed! Great giveaway, ladies. I think that waiting for an anticipated book in any series is hard. The hardest and longest wait for me was the wait for Shadowfever by Karen Moning. That woman writes the cruelest cliffhangers and the anticipation was excruciating…. Ohhhh, awesome review. Gah, I can't wait to read the first one! Yes, you heard right o: I haven't even read Across the Universe yet! *hangs head* I'm going to! It's at the top of my to-buy list! Well, I think Harry Potter was the series that I most anticipated the next book. I'm really looking forward to the next book in the Divergent series now. I've been so excited about so many books out there, I can't pick just one! I'm looking forward to the next Bloodlines by Richelle Mead though. Thank you for the wonderful giveaway! The series I had a hard time waiting for was the Sword of Truth series by Terry Goodkind. It's a high fantasy series that I love! The hardest for me was Beautiful Creatures – the end of book 3 was such a cliffhanger! Cassie Clare has the hardest series to wait for!!! I love her books and I'm just dying for the next one right after I finish one. <3 Anything by Kimberly Derting is also hard to wait for, I love her books so much. The Mortal Instruments is the hardest series to wait for. I go through those books so quick and then I'm left wanting more. Torture because Cassie Clare loves huge cliffhangers. Exciting!! I can't wait to read this book!! I have a signed copy of Across the Universe as well that I bought from my school book fair last year :). Thanks for the review and giveaway, ladies! I've been looking forward to A Million Suns but I haven't had time to read it yet! As for what series is/was the hardest for you to wait on – I think the worst in recent years (after Harry Potter) was The Hunger Games. This year, I'm excited about Kristin Cashore's BITTERBLUE and Kendare Blake's GIRL OF NIGHTMARES. Definitely Twilight series. I thought it was going to be 3 books..then low and behold…4. I waited for the first 3 books of the Uglies series to be out before I started it. I just KNEW it would be epic. Waiting for Mockingjay was torture. Bitterblue is killing me. But right now, the Skin Hunger final book by Kathleen Duey is brutal!!!! It is impossible to wait on JR Ward's Black Dagger Brotherhood series. I love all of the brothers and need the next book now! I can't wait to read the last book in the Hush, Hush series by Becca Fitzpatrick. I cannot wait to read the last book to the Hush Hush series AND I need to get the rest of the Fallen series too! Sometimes a release date has nothing to do with it, lol! I just want them all now!!! JR Wards books and Doc Jess Nightkeeper series!! Excellent reviews both of you! I loved both books, I don't think I could say which I loved more! Beth Revis is definitely a master storyteller!! All those secrets. I'm pretty sure my mouth hung open the whole time I read both books! I'm so glad you get to meet her! I got to meet her last year! She's very genuine. Have fun! Harry potter was the hardest one to wait on for sure!! Under the Never Sky!! It's killing me waiting for the next book to come out! I'm waiting for Bitterblue by Kristin Cashore and also for the sequel to Daughter of Smoke and Bone by Laini Taylor! The most difficult for me to wait on was the final book of the Wicked Lovely series, Darkest Mercy. OH and when I finished, I cried for days. It stinks have to wait for Sapphire Blue, the book following Ruby Red! Bitterblue has been really hard to wait for, it has been so long. Ending-wise, the Delirium and Pandemonium wait has been torture. What happens to Alex. Soon we'll know! There are a ton of great series – I think waiting for the next Harry Potter was hardest though! They are all so hard to wait for…I have a love/hate relationship with series! Right now I can not wait for The Twelve (The Passage book #2) by Justin Cronin! The wait for the next book in the Abarat series by Clive Barker was hardest for me because it took seven years for the third book to come out!! And now I have to wait on two more! My recent post Follower Love Giveaway Hop! I think the one I'm having the hardest time waiting on right now is the Lunar Chronicles by Marissa Meyer, which is not a good thing considering the first book in the series just came out last month! I'm also impatiently waiting for the sequel to Ilsa Bick's Ashes. Oh man, that book left me in a frenzy! The hardest to wait: I think the Soul Screamer Series by Rachel Vincent. I love her books. My most anticipated series of the moment is Pandemonium by Lauren Oliver. I started reading the Twillight series back in the day when there was only one book. It took forever for the next 3 to come out! I can't wait for Pandemonium, for sure… but I really want to read this book, I've highlighted it so many times!!! The Chemical Garden Trilogy, hands down! I think Shadowfever was the hardest to wait for. SUCH killer cliffhangers! I'm really wanting this book! I really enjoyed the first one so am dying to get my hands on this one. Especially after reading your rave review, it sounds awesome! And signed is even better! I haven't read either of these yet, and I'm not sure why. I love Sci-Fi and after reading how much you guys loved the first one, I may have to pick it up. 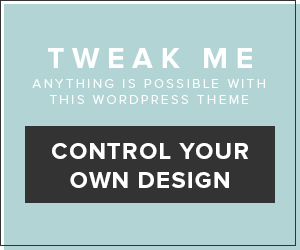 Thanks for the reviews and giveaway! Oops, forgot to answer the question! For an adult series, definitely the Cal Leandros series by Rob Thurman, though her Chimera series is climbing the charts on that list. For YA, I couldn't wait to get Reckoning by Lili St. Crow (got it, still haven't read it!) and I can't wait for the next Lunar Chronicles book and, hopefully there will be one, the sequel to Scarlet. Pandemonium is the hardest to wait for! The Pretty Little Liars series has to be one of those book that I couldn't wait for the next one to come out! I think the Harry Potter series was the hardest to wait for! ohh I can't wait for Pandemonium by Lauren Oliver.thanks for the giveaway..
Divergent ! I can not wait for Insurgent to come out! Ah, I have to say Harry Potter. I mean, the books didn't come out too far from each other…but just being nervous and excited between each was crazy. Especially the last couple. But the Infernal Devices (?) series by Cassie Clare is a close runner-up. The Gone Series is hard for me to wait for since there is six books in the series, it comes out once a year and it's on the fifth book XD thanks for the great giveaway! !